Looking for an off-the-grid adventure? 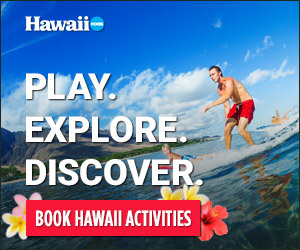 Try HAWAII WATERFALL TOURS. These hikes to hidden waterfalls help visitors find their way to places usually seen only by local residents. There’s a 90-minute hike leading to a three-tiered waterfall that drops about 30 feet into a large pool filled with sparkling turquoise water. Or try a longer hike that takes you deep into the forest and to another waterfall. Hawaii Waterfall Tours’ new attraction is a secret snorkel spot tour, and while you’re at it, ask about the turtle adventures and scenic night tours. into the silence of the rainforest. While hikers can get to Manoa Falls on their own, going with a guided tour makes the experience that much more convenient … and fun. On its Manoa Waterfall Adventure, OAHU NATURE TOURS’ knowledgeable guides lead groups through the lush rainforest trail to the picture-perfect waterfall, pointing out hidden gems and offering pieces of history along way. The eco-tour outfitter also has an enchanting WAIMEA WATERFALL and Circle Island Adventure tour that explores the beautiful Waimea Valley and its world-renowned waterfall before continuing on a journey along the North Shore and Windward coast.